Tickets and passes for the fourth New Paths spring festival are now on sale and can be purchased online, by telephone, in person or by post. With a glittering array of events and artists, the festival is expected to attract large audiences when it sails into town. And so early booking is advised. Prices start at £5. Snap up your tickets today! 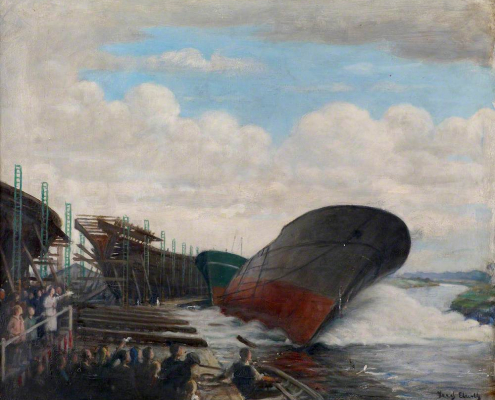 The launching of a ship into the Beck at Beverley’s old shipyard drew a crowd, as captured in this painting by local artist Fred Elwell. Visit Beverley Art Gallery during your time at the festival to see this striking work and others by Elwell. Once home to a flourishing shipbuilding industry, today the Beck is a pleasant place from which to take a stroll in the countryside of Figham Common or to take a boat trip on one of the Beverley Barge Preservation Society’s vessels. Enjoy messing about on the river during your time at the festival. A highlight of the festival is sure to be the Friday morning concert By the Waters, which features a performance of Howard Skempton’s extraordinary setting of that epic poem, The Rime of the Ancient Mariner. We are thrilled to welcome baritone Marcus Farnsworth back to the festival to perform this incredibly atmospheric contemporary piece alongside a handpicked team of outstanding musicians. John Tattersdill (double bass) – a founder member of the City of Birmingham Contemporary Music Group, who was for 42 years section principal of the CBSO. Cara Berridge (cello) – a cherished New Paths artist who has appeared in all of our festivals since inception. Lena Eckels (viola) – professor of viola at the Musikhochschule Lübeck in Germany and one of that country’s leading chamber musicians. Hannah Dawson (violin) – one of Cara’s colleague in the renowned Sacconi Quartet. You can catch the performance of the Trout Quintet for only £7 (and for free if you are under 18 or in full time education – see details of our Golden Ticket scheme online). An opportunity not to be missed! Be drenched in world class music this spring at the New Paths festival. in Night at the Movies, our Saturday night gala concert, where young mezzo-soprano Helen Charlston (winner of the 2018 Handel Singing Competition) sings two of Handel’s most celebrated arias. Rowan and Helen join together for a late-night performance of Pergolesi’s Stabat Mater on the opening night. This year the festival falls in Lent which we mark with the performance of this popular work in the stillness of St John of Beverley Roman Catholic Church. With tickets at £5 and limited capacity at this intimate venue, be sure to book your tickets without delay! Make haste to Beverley this April for one of the most dynamic and innovative festivals in the land. The incredible “bahgins” [sic.] available surely represent some of the best value for money in classical music in the UK today. A warm welcome awaits you. We hope that this newsletter “wets” [sic.] 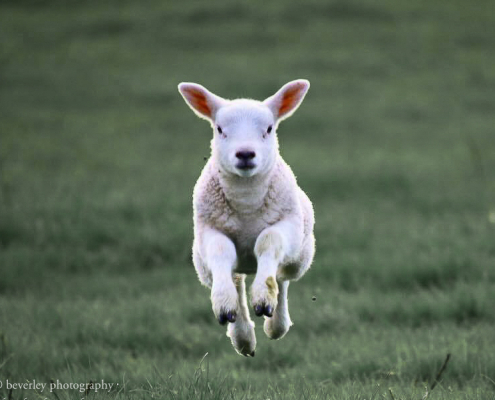 your appetite and puts a spring in your step. We promise that there’ll no further ‘banter’ of this nature in future newsletters!